Shower Doors of Bradenton specializes in shower door installation and glass shower door enclosures. We take pride in each job we do and it's our goal to "WOW!" our customers. From stunning custom shower doors to functional corner showers, we do a little bit of everything. In addition to servicing shower doors, We're also a full service glass and mirror company for all of Bradenton, Sarasota and Lakewood Ranch. Whether you're looking for simple little things or looking for a full service install, chances are we can help you! We have a passion to deliver quality service on all of our projects and we can assure you that when you choose to go with us, you're choosing the best glass and mirror company in Bradenton. While we may not have an in-person shower door shop, we surely have an extensive catalog of shower doors to choose from. Our main service is shower door installation for glass showers and tubs. We also do remodels as well. Whether your looking for frameless shower doors in Sarasota, custom doors, or anything in between, chances are we can make your dream bathroom remodel come true. We take pride in being Bradenton's custom shower door company and we take our time to make sure that we deliver quality on all of our projects. We can do one time installs, shower door repair, and so much more! Feel free to take a look at our portfolio page to learn more. 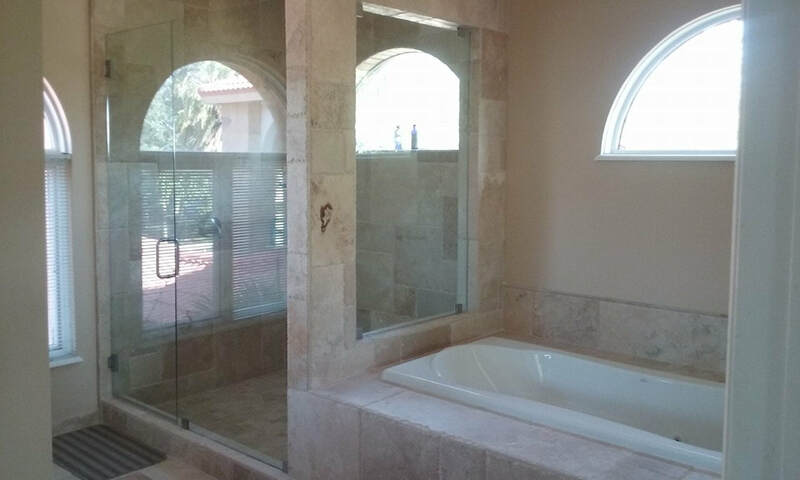 In addition to servicing showers, we also do glass and mirrors for bathroom remodels in Bradenton and much more. We specialize in antique mirror repair and installation. We also do Plane Mirrors, Spherical Mirrors, Two Way Mirrors, Silvered Mirrors. Whether you need mounting or installation, Bradenton Shower doors is the bathroom remodeler for you. Even though we may not have an entire bathroom supply store that you can visit in person, as a glass and mirror company, we have many options to make your bathroom look great! Our glass shower door enclusores and installations are the best in Manatee county and Lakewood Ranch. ​We offer a wide variety of types of glasses including but not limited to: Rain Glass, Bamboo Glass, Starfire Glass, Laminated Glass, Stained Glass Bevelled Glass, Tinted Glass, Oceanview Glass, Wave Glass, Bubble Glass, Diamond Glass, And Colored Glass. No matter how you want your shower doors in Lakewood Ranch to look, we can customize the experience to go great with any bathroom remodel or project. Looking for new glass shower doors and enclosures in Bradenton, Florida? 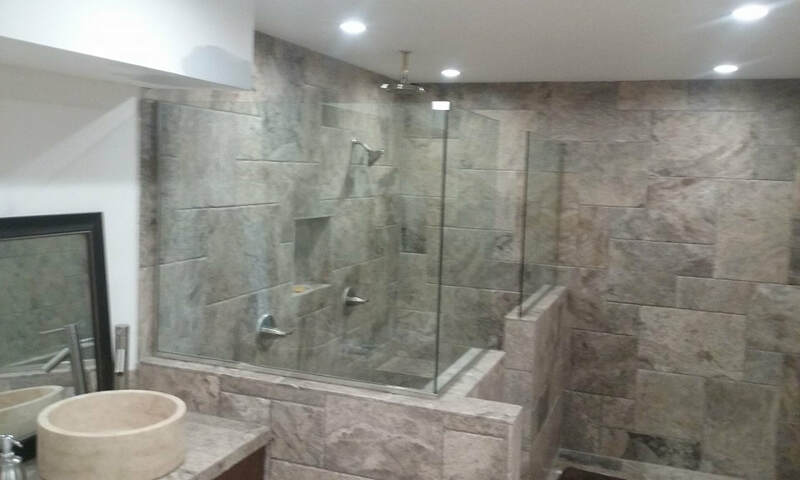 Shower Doors of Bradenton is the home of the glass and mirror specialists, specializing in all the different types of shower doors and enclosures. Whether you’re looking for a custom frameless glass shower door or replacing a single sliding door, we've got you covered. Shower doors play an important role when it comes to ensuring that the water from the shower remains and stays within your shower area. However, this is only possible when you choose the right glass shower door for your bathroom. It’s also important to note that shower doors add considerably to your home’s resale value not to mention the beauty and elegance it brings to your bathroom. Our Glass and Mirror Specialists at Shower Doors Bradenton Florida will help you determine the glass shower doors that will enhance your home’s beauty and value. We at Shower Doors Bradenton are here to provide you with shower doors that reflect your creativity, personality, and style. We understand that your bathroom is one of the rooms you spend the most time and needs to have a pleasing and comforting environment. The first thing we do is to discuss with you to learn and understand your unique needs, preferences, and style before designing your glass shower door. Shower Door Installation is one of our pride! Our highly skilled and experienced technicians will install your shower door to complement the existing architecture and ambiance of your home. We ensure professionalism during the installation process. From design to fabrication, we ensure that each portion of your project is measured, designed, and installed in a professional manner. When choosing your shower glass, our specialists will ensure that the right type of glass is installed depending on your unique needs and style. Let Shower Doors of Bradenton help you create a luxurious and comforting bathroom space with bathroom mirrors, frameless shower doors, and glass tub enclosures. It’s time you treated yourself and family to a higher quality shower experience. 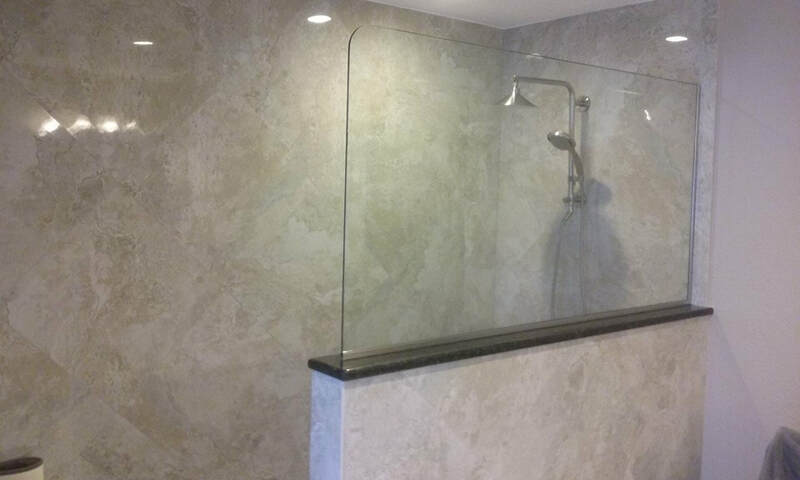 Whether you want a single shower door or a custom glass enclosure, we got you covered. Our client’s satisfaction is our motivation. No matter your home’s style or design, we will custom install glass shower doors to complement your home’s style and ambiance. Contact us today.